Convert your spare bedroom into a combined home office/tech space. 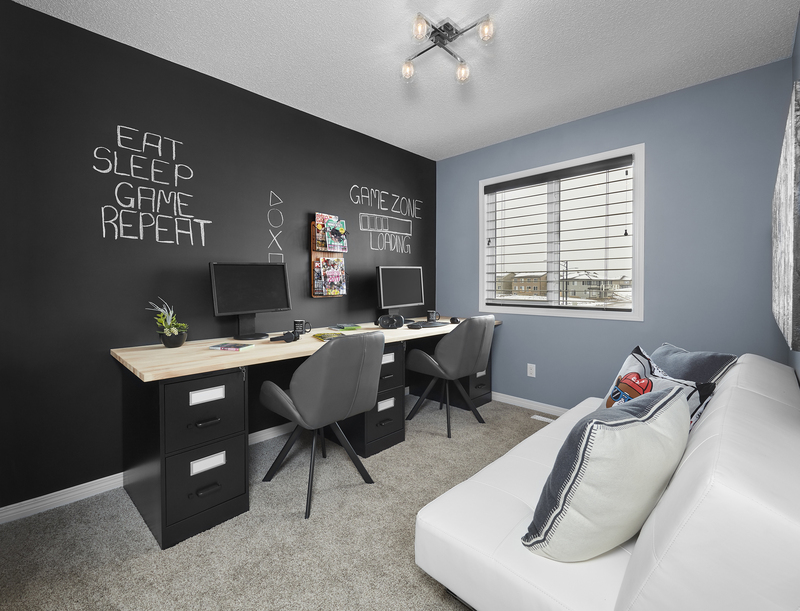 Eat, sleep, game, repeat in this DIY tech space created by the designers at Luxe Design in our Adamo duplex show home. Inspired by the young tech-savy Gamer, it was quick and easy to creates a space to plug-in and play after a long day at work. 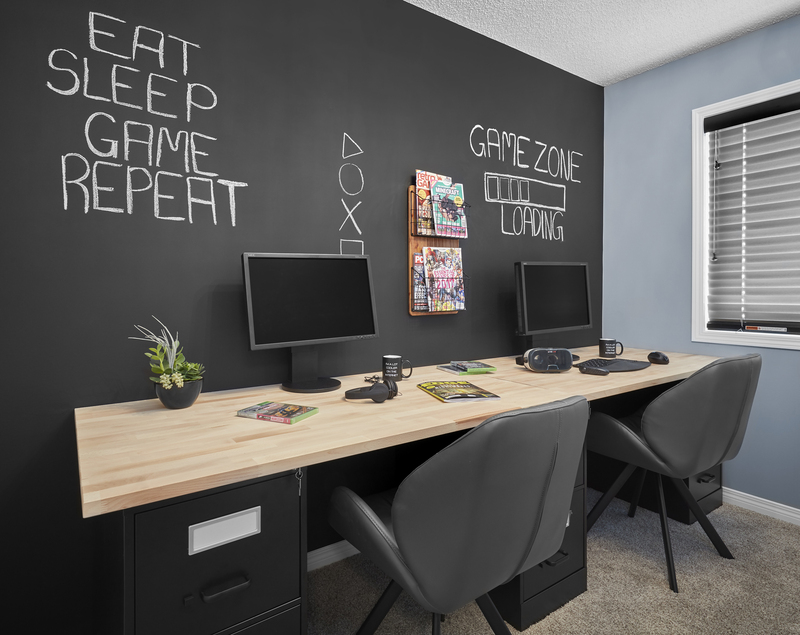 When it's not being used for gaming, this space functions perfectly as a home office. 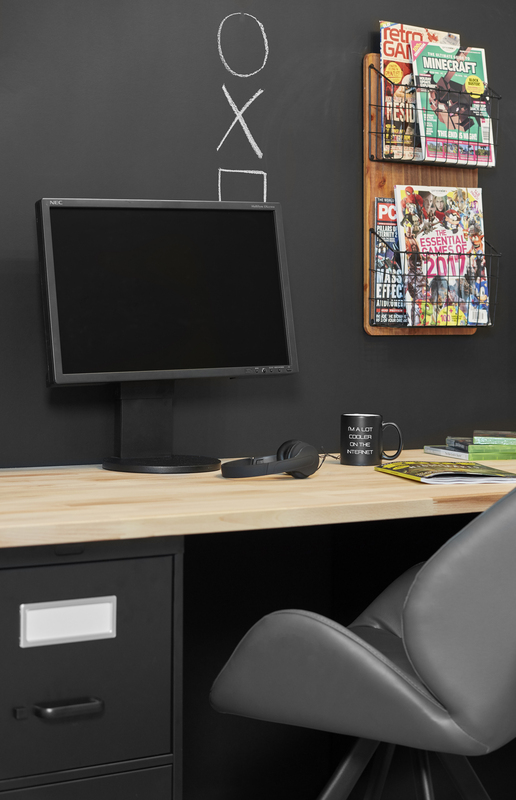 The gaming desk was built using 3 file cabinets ($360) from Staples and 2 table tops ($120) from IKEA, creating a space where 2 people can work (or game) comfortably. Next, we used a simple black chalk paint ($30) to add depth (and function!) to the space.